There was a flurry of regulatory-related activity this week in Congress and at federal agencies. Most of it was good news for ARTBA member firms and employers. But there is still plenty of work to do. 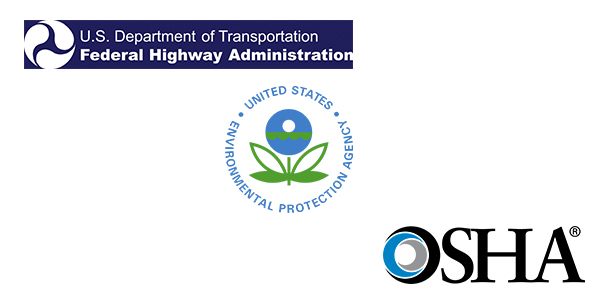 The Federal Highway Administration (FHWA) is dropping its requirement to track greenhouse gas emissions in transportation construction projects. The decision is effective May 20. In 2016 comments, ARTBA noted the measure would require a separate rulemaking process, which is exactly what FHWA has now proposed. No date has been set for a new proposal. In addition to opposing the measure during the public comment process, ARTBA also met with both House and Senate staffs to voice concern over the FHWA proposal as well as lead a group of transportation industry associations to meet with the Office of Management and Budget (OMB) and gathered a coalition of 39 associations for a Feb. 3 letter opposing the measure. The Occupational Safety and Health Administration (OSHA) May 17 suspended ARTBA-opposed regulations requiring companies to electronically submit records pertaining to workplace injuries and illnesses. The agency said the rules were suspended due to concerns about employers’ ability to meet the reporting obligations. OSHA is exploring a new deadline, but has not said when that will be. 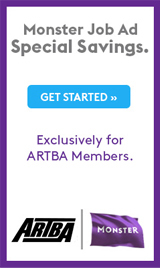 ARTBA raised concerns about privacy invasion that could result from posting employer data online. Employers also could face problems with regulators when employees do not report injuries or illnesses in a timely manner. Regulations form the Executive in Need of Scrutiny (REINS) Act. The bills advance many ARTBA-supported regulatory reforms, such as easing burdens on small businesses, increasing notice requirements for major rules and requiring more study on how significant regulations impact the nation’s economy. The measures now face votes by the full Senate. ARTBA highlighted “a number of onerous regulatory initiatives that impede and add unnecessary costs to the delivery of needed transportation infrastructure initiatives,” in May 15 comments to the U.S. Environmental Protection Agency (EPA). The association also recognized the agency has made “notable progress” in some areas of regulatory reform. The EPA is reviewing its regulations in response to an executive order from President Donald Trump. ARTBA also provided the agency with a copy of “Ripe for Reform: Federal Regulatory Issues Impacting Transportation Project Delivery,” a January report that targets nearly two dozen areas of concern, not all of them under EPA jurisdiction. ARTBA will remain actively engaged with the EPA and other agencies as they continue to advance President Trump’s goals for regulatory reform.